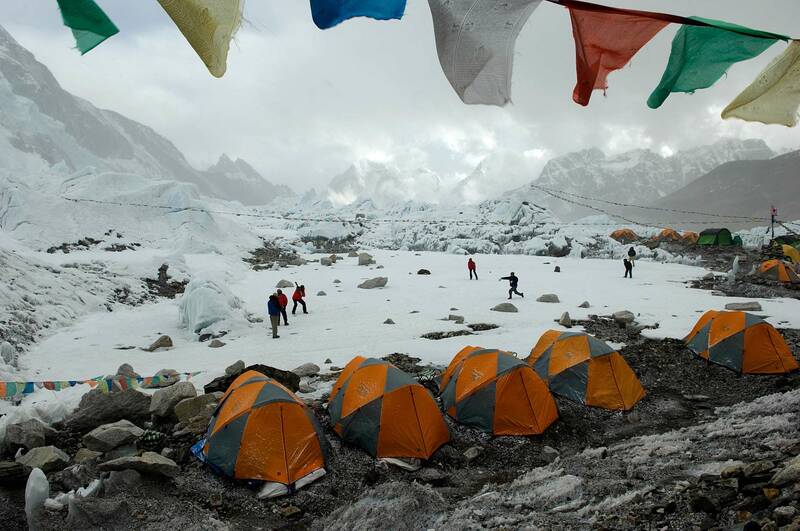 Baseball at base camp on Everest's south side. Climbers pass the time on a day off to acclimatize. Base camp sits at 18,000 feet. Nepal.